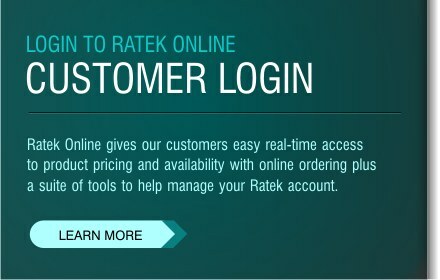 Ratek digital block heaters use a custom designed temperature controller to ensure accurate and stable temperature control. The large LED display can show set and actual temperature, plus alarm set point value. Two temperature ranges are available Ambient +5° to 150°c with 1°c indication or ambient + 5° to 99.9°c with 0.1°c indication. An audible alarm can be set to operate if the temperature in the block exceeds the value set. The heating surface is aluminium plate machined flat to ensure that when used with Ratek machined blocks heating is even across the block. Once set the heaters can be left for extended periods of operation, a safety cut out is fitted and will operate in the unlikely event of control failure. Blocks are available to suit most test tube sizes, plus special blocks to suit Microtitre plates. Each block has provision for a reference thermometer. 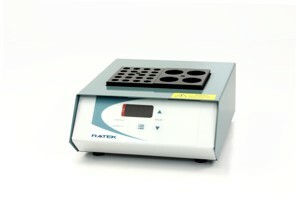 Microtitre blocks can only be used in block heaters with a capacity of 2 or more standard blocks. 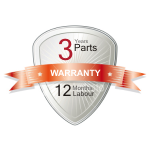 All aluminium parts are anodised and the case powder coated for added durability. 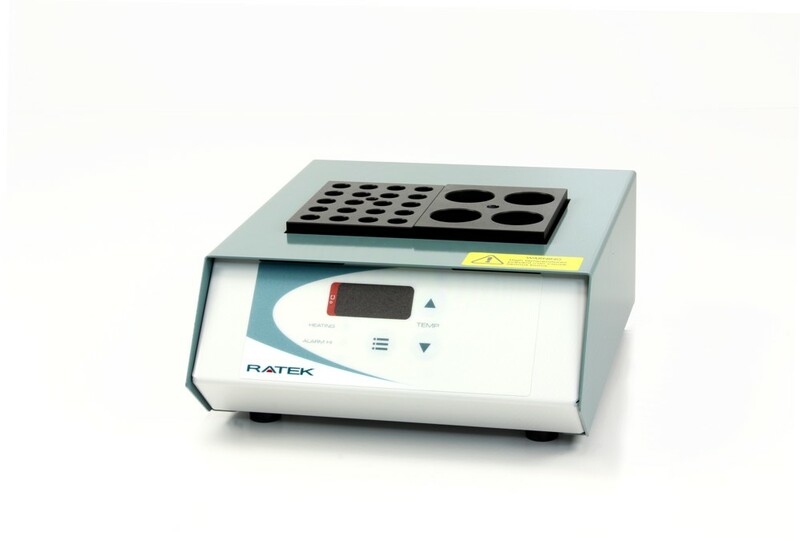 Dry Block Heaters are used for applications such as the preservation of samples and reaction, enzyme digestions, enzyme activity studies, DNA amplification, incubation and activation of cultures, melting/boiling points and nucleid acid hybridisations.